The Forum’s 4th European conference will be hosted by New York University Prague in the Czech Republic. Conference sessions and plenaries will take place at Žofín Palace, a Renaissance building on an island in the heart of the city. New York University Prague opened in 1998, only nine years after the Velvet Revolution overturned the Communist government, and our faculty includes many of the leaders of that Revolution. Students can choose from a wide range of courses in the humanities, business and the arts which draw from the rich cultural offerings of the city. Semesters last fifteen weeks, and every fall and spring approximately 170 undergraduate students from all over the world come to NYU Prague. Our intensive one-week orientation program includes a mandatory course on Czech and Central European history and the local language, as well as an introduction to Prague cultural events. NYUP staff members arrange dozens of study and field trips in the city, country and region throughout the term. Students also immerse themselves in the cultural life of the city by attending concerts, art exhibitions, sporting events and other activities. 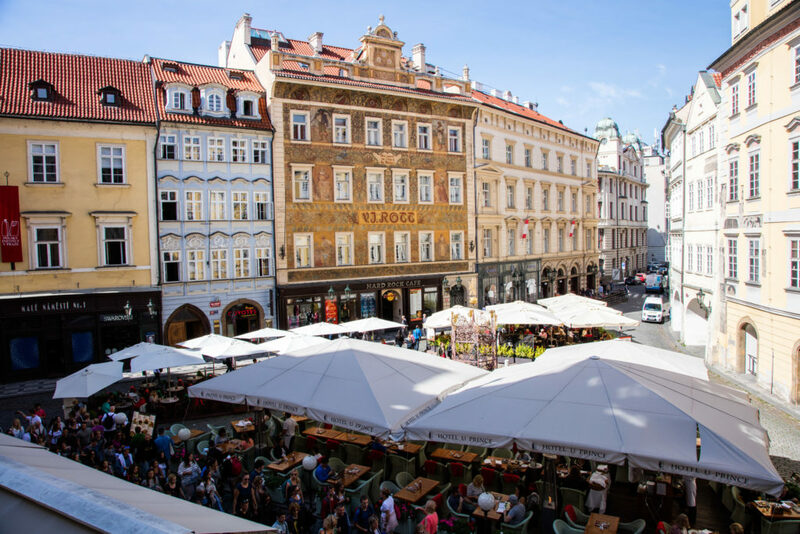 NYU Prague students live in housing with Resident Advisors, local university students who enjoy teaching their peers about Prague and the Czech Republic. For the past twenty years, NYUP has been one of the city’s intellectual hubs, organizing conferences, panels discussions and public lectures for the NYUP and the local community. Conference sessions and plenaries will take place at Žofín Palace, a Renaissance building on an island in the heart of the city.